Photo: Darren Michaels/Warner Bros. Entertainment Inc. ÃÂ© 2018 WBEI. All rights reserved. 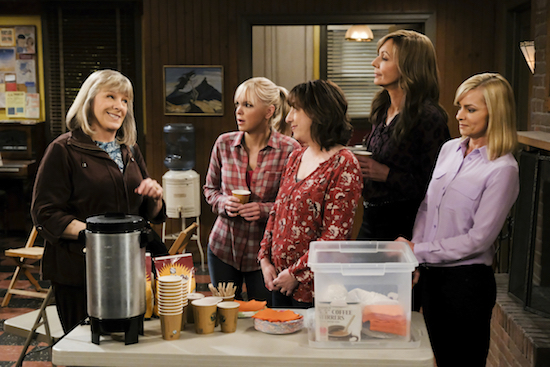 MOM will return for a sixth season, CBS announced. The comedy, which has evolved into a series about the makeshift family at an alcoholic anonymous support group, also stars Jaime Pressly, Mimi Kennedy, Beth Hall and William Fichtner. MOM joins the already-renewed THE BIG BANG THEORY, YOUNG SHELDON, SEAL TEAM and S.W.A.T. on CBS 2018-2019 schedule.